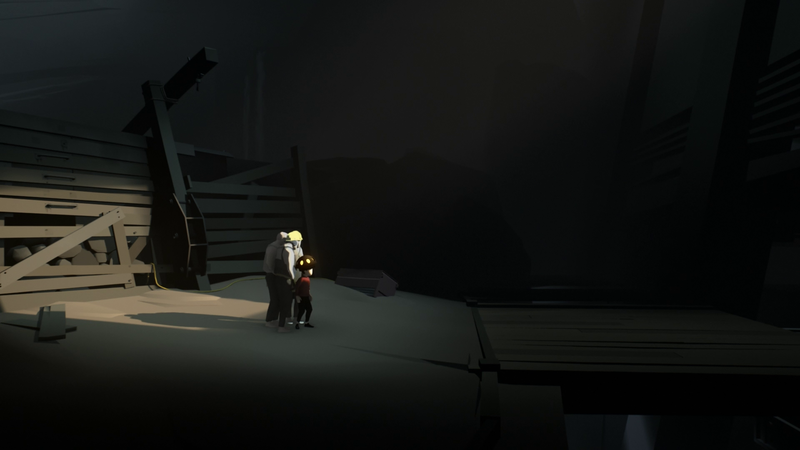 INSIDE is a sidescrolling platformer made by Playdead, who also made Limbo. The game will feel very familiar if you have played Limbo back in the day. The gameplay mechanics and even to some degree, the atmosphere feels similar. The game looks and sounds absolutely beautiful. The game features one of the best looking visuals I have seen on a sidescoller game. The graphics are somewhat simplistic, the characters don’t even have face features, they all just have a blank face and that’s probably the art-style chosen deliberately by the developers to convey their vision of the game. To add that mood and atmosphere to the game. The game always ran on 60 FPS for me, not a drop at any time. The FPS are locked at 60 FPS. 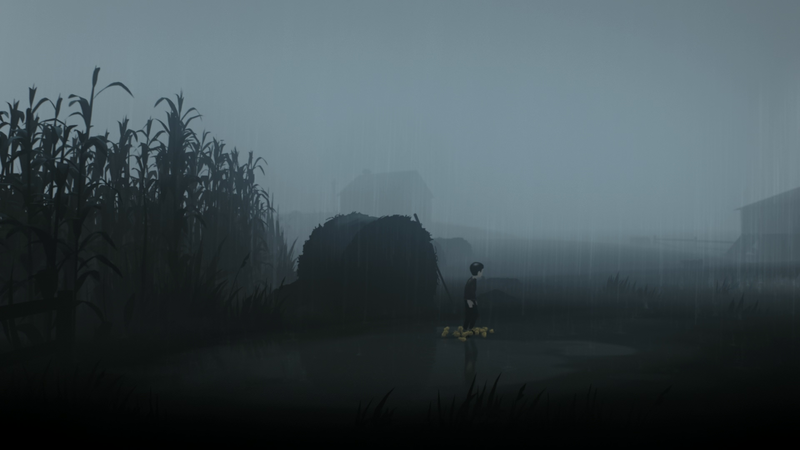 Similar to Limbo, you just start off in the game and nothing is explained. The story is left up to the users to interpret. INSIDE starts off with you, a boy, dropped off in a forest. You start going forward, only to find out that you’re being hunted and the people in the background are looking for you and upon sighting, you they will chase you down and kill you. They have dogs as well who will relentlessly chew you down when they catch you. These enemies are usually in the background but they can spot you and run towards you to the foreground. 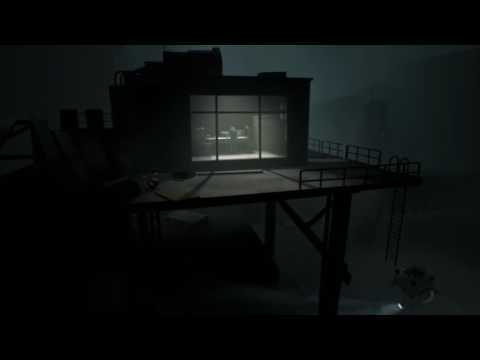 Similar to Limbo, you have almost exactly the same running patter, you can jump very similarly and can drag objects, open doors and grab onto ledges to pull yourself up etc. That’s the basic movement in this game. There are new puzzle types introduced in this game like the mind controlling of the almost zombie like humans. The puzzles themselves are not hard at all and at most take 2-3 attempts before you figure them out. There are a few longer puzzles too, one for example require you wandering in at least 4 places looking for more zombie mind controllable humans. The game’s setting can be really atmospheric. Some segments which are underwater or segments with dogs chasing after you in a short space can make you feel downright claustrophobic. To avoid any spoilers, I will not go in detail about what sort of puzzles there are as most of the puzzles are only used once in the game. So you can expect plenty of different types of puzzles in the game. There are forest sections in the game, the inside of different buildings sections, underwater sections, there’s even underground sections. Some sections such as a test lab and other various environments can be found in the game, all of which look beautiful. You also get to play as a different character(s), at the end of the game, I won’t say which to avoid spoilers. The game is said to have 2 endings but I have only seen the one which was quite weird to be honest. A short gameplay video can be found below, though I’d advice not to watch it if you are planning on buying as it will spoil some part of the game for you. Like the graphics, the sounds are minimal too but as an aritisic choice. The ambient music, the minimalistic sounds really add to the already creepy atmosphere of the game. In the intense moments of games such as enemies chasing you and closing in on you, heartbeat sounds can be heard which really add to the whole creepy experience of the game. The game is absolutely gorgeous to look at and sounds incredible. It’s an experience you most likely won’t forget soon. Simply said, it’s a masterpiece and a must play for people who like atmospheric and tense games. People who enjoyed Limbo will definitely enjoy this game too. The game is pretty short, about 3 hours of gameplay total, so if you think the price is high for that much content you can always wait for a sale and get the game when it’s cheaper. NaNoW on Impact of Power Outages on Pakistani Gamers!